1. 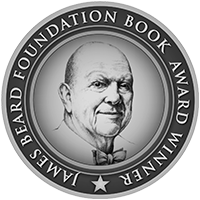 I wanted to win the James Beard Award (I had strong doubts that that would happen). 2. I wanted to eat oysters at April Blumfield’s The John Dory. 3. I was hoping that Deb Perelman would open the doors to her famous Smitten Kitchen for a Meet In Your Kitchen feature. And what can I say, I was a lucky girl. I won the award, I had a fantastic pre-award oyster treat just for myself (if you like oysters, book a table at April’s restaurant next time you visit NYC!) – and I met and baked together with Deb! Smitten Kitchen was the only blog I knew about when I started Eat In My Kitchen in November 2013. I discovered many more in the past three years, but not many managed to keep my attention with such persistence as Deb’s. She knows how to entertain, impress, and inspire me with calm ease. Her love for food jumps out of all of her recipes, out of every picture she takes and every line she writes. She’s a perfectionist, but she knows how to hide it. She’s a charmer. Deb’s blog is a staple in the blog world. She started in 2003 writing about her life in general and focussing on recipes since 2006. When you ask yourself how a single person can build up such a successful food platform on her own and keep it running like a smooth motor, you just have to meet her and you’ll know why. Deb is full of life and energy, at the same time down to earth and humble. She’s not interested in the blunt surface, in superficial attention, she wants to explore a recipe in depth and present it in all its glory. And here lies her secret: all her recipes make sense, from a cook (or baker) and an eater’s point of you. She calls herself a fussy eater, picky like her children, she doesn’t mind baking the same cake 14 times until it’s just right. This leads to a habit of excessive note taking whenever she’s at the cooker. To learn, to improve, and to develop the right formula that she and her readers can totally trust. This trust is what a food blog is built on. 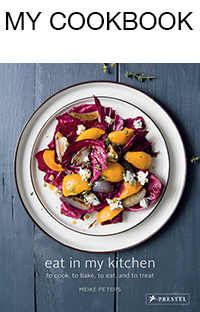 Mrs. Perelman takes this task quite easily as she loves what she does, she only cooks the food that she craves herself and that she’s curious about. She’s like a passionate scientist, working late at night, while everyone else is already in bed, and she’s still there, solving culinary problems. 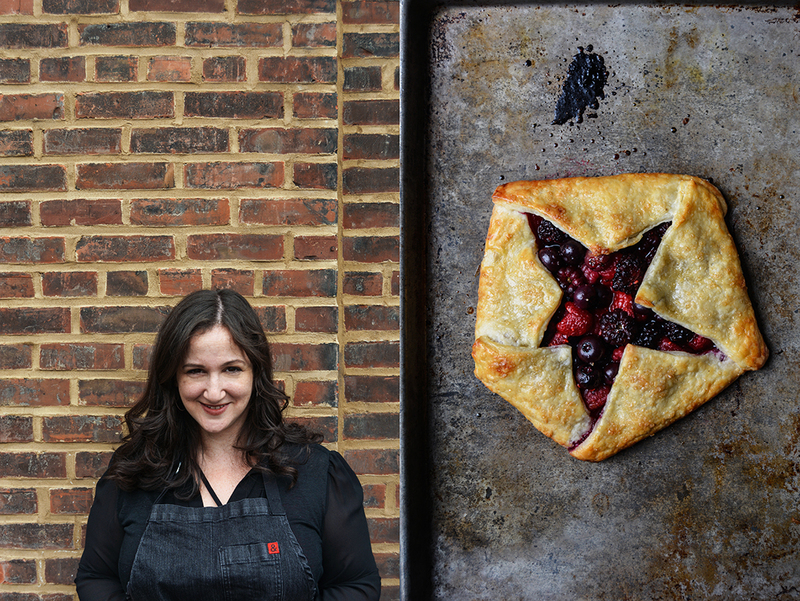 Her journey into and in the kitchen was influenced by her work at a bakery as a teenage girl, by her family with roots in Germany and Russia, Jewish baking, and American cooking. Her mother’s cookbook by Julia Child added some French extravagance to the palate and sparked her interest. When you read Deb’s blog, you can see that she has a weak spot for comfort food. She might be a fussy eater but she’s not into fussy cooking. After hundreds of recipes developed by herself and shared online, it was time, in 2012, to turn this treasure into a physical publication. When Deb’s first cookbook – The Smitten Kitchen Cookbook: Recipes and Wisdom from an Obsessive Home Cook – entered the book shops, it happened anything but quietly. It was a success that screamed for a follow up book. A second child (the cutest baby girl!) and obsessive recipe tasting caused a few delays in the schedule, however, Deb’s confident that it’s going to happen this year. Her new book will come out soon, including more global influences than in the predecessor’s recipes. 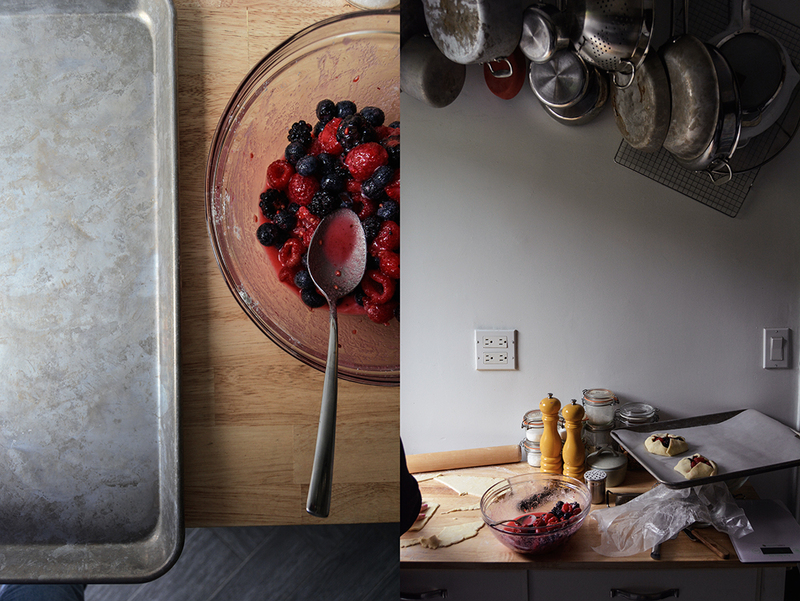 It’s a collection that represents how we cook and eat today. Different cultures from all over the world inspired Deb to experiment with ingredients that are relatively new to our kitchens. The frame, however, is Deb, her style, and her love for American comfort cooking. 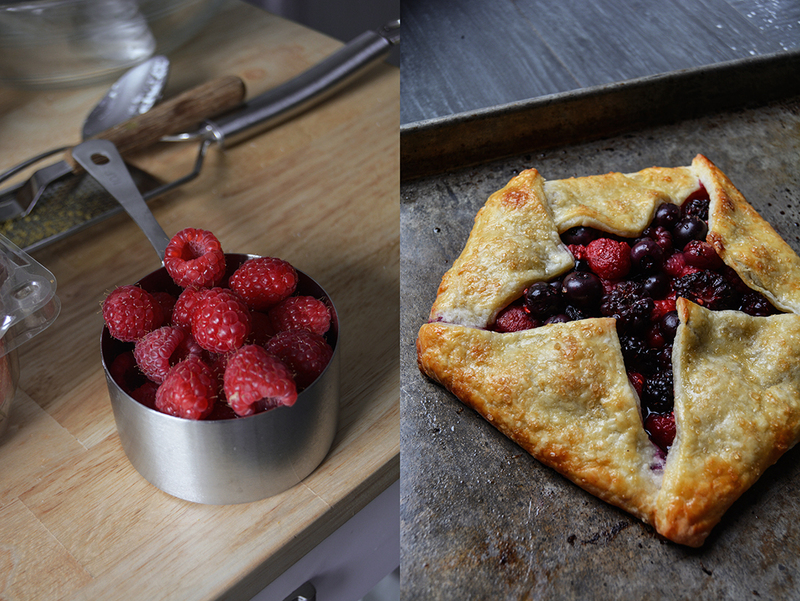 We baked the most wonderful berry ricotta galette together, it tasted divine, and the fact that Deb baked it for me made it taste even better. Deb also made a couple small galettes (as you can see in the picture above), but if you aim for the star-shape it’s easier to make one large galette. The smaller ones opened in the oven. 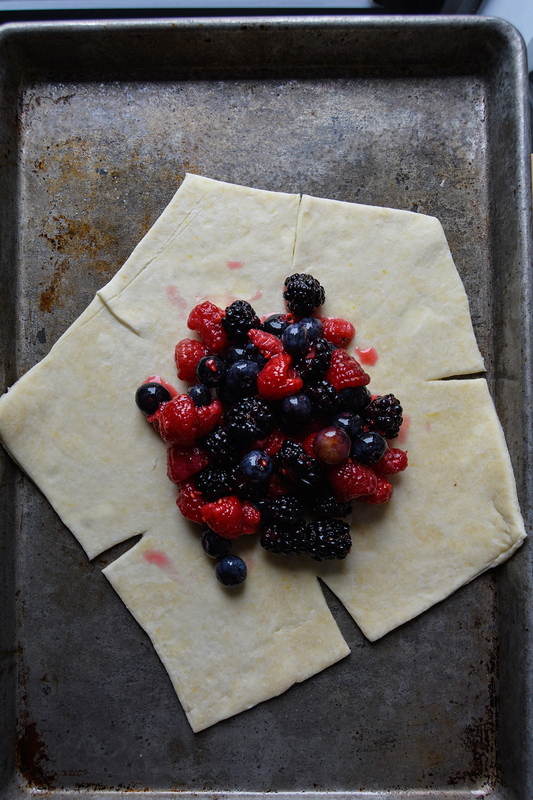 Leakage is almost inevitable when making galettes but you shouldn’t sweat it because I’m convinced that it’s more distressing for the baker (who knows exactly how much jammy deliciousness has been lost) than anyone eating a wedge (it will taste like nothing is missing at all). For the dough, whisk the flour, salt, sugar and zest together in the bottom of a large bowl. Work the butter into the flour with your fingertips or a pastry blender until mixture resembles a coarse meal and the largest bits of butter are the size of tiny peas. Stir ricotta and 3 tablespoons water together in a small dish and pour into butter-flour mixture. Stir together with a flexible spatula as best as you can, then use your hands to knead the mixture into a rough, craggy ball. Wrap in plastic and flatten into a disc. Chill in the fridge for 1 hour or up to 48 hours, or you can quick-firm this in the freezer for 15 minutes. On a floured counter, roll the dough out into a large round-ish shape, about 14 to 15 inches (36-38cm) across. 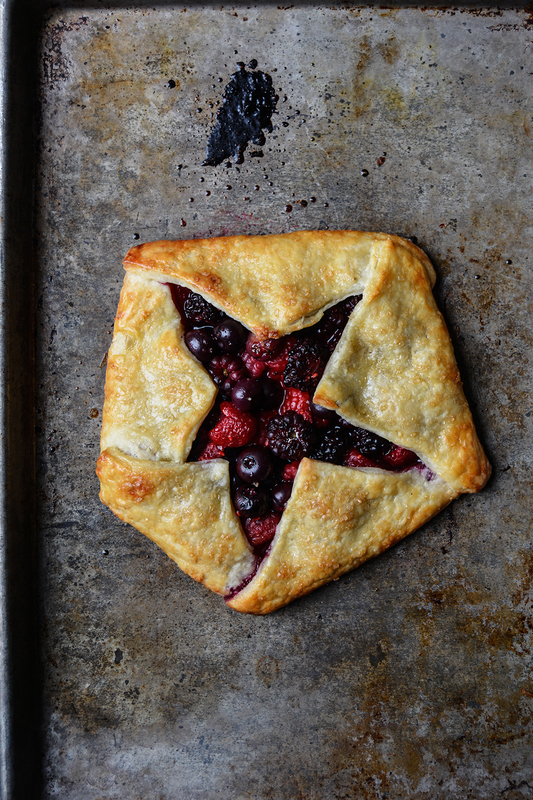 If you’d like to form your galette into a star, as shown, use the red dashed outline of the PDF template mentioned above. It will print smaller on an 8.5×11-inch (DIN A4) piece of paper than you need, but you can use it as a rough guide to cut as large of a pentagon shape as your dough will allow. 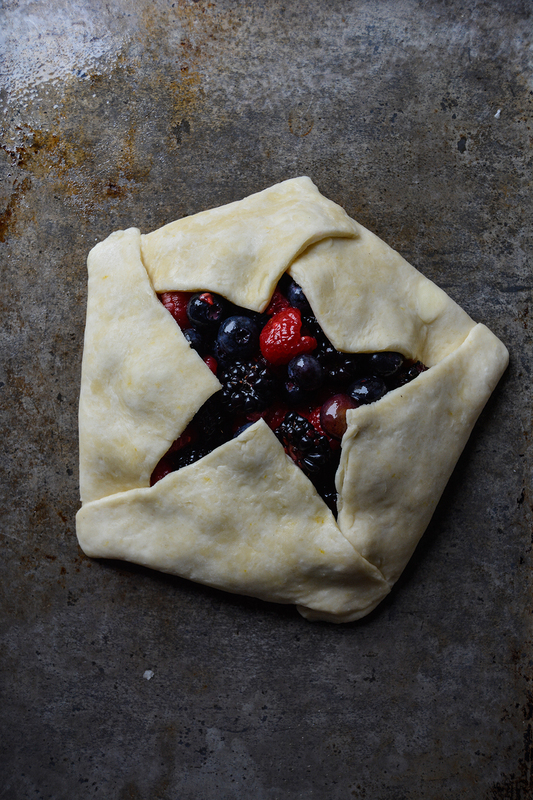 Transfer round or pentagon-shaped dough to a parchment-lined baking sheet; I like to fold my dough gently, without creasing, in quarters then unfold it onto the baking pan. If you’re making a star, cut a 1-inch (2.5cm) notch in the center of each side, angling it toward the center, as shown in the blue dashed lines of the template. Stir together all of the filling ingredients and spread them in the center of the dough, leaving a 2-inch (5cm) border. 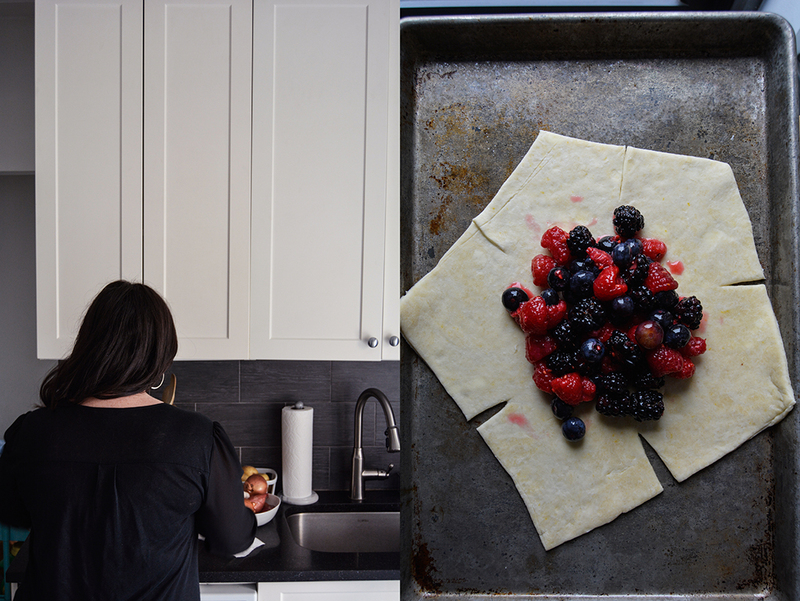 If you’re making a round galette, fold the border over the filling, pleating the edge to make it fit. If you’re making a star shape, fold each of the 5 corners into the center, along the green dotted lines of the template. Pinch the outer corners closed, to seal in the filling and the shape (see 6th and 10th picture). Bake for 30 minutes, or golden all over. 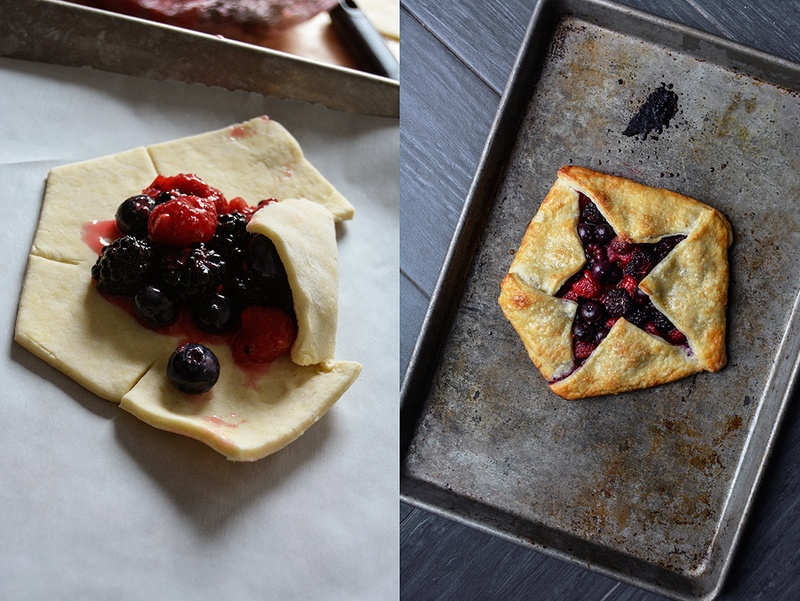 Remove from the oven and let stand for 5 minutes, then slide the galette onto a serving plate. Cut into wedges and serve hot, warm or at room temperature, preferably with vanilla ice cream. The ever-growing number of Smitten Kitchen’s followers has now trusted you for over a decade. What’s your secret? I have no idea how I got so lucky with this. When I got started food blogging in 2006, there was no such thing as turning it into a career so it wasn’t even in the remotest corner of my mind. All I wanted to do was create a collection of recipes I considered perfect so once I got a dish the way I liked it, I didn’t have to reinvent the wheel every time I was hungry for it. I still feel exactly this way. Having an audience makes it way more fun, but I often wonder if I’d still be doing this in a vacuum because I will always want to cook new things and get them right. You call yourself a perfectionist, do you feel the drive to perfection just in the kitchen or also in other fields of life? Does the perfect recipe really exist, when do you know you have to stop? I think near-perfect recipes exist. I don’t think every recipe is going to work with every set of ingredients, in every kitchen, at every altitude, at all times but I think when the recipe is very strong, it withstands these variations well. If I think a small thing will throw a recipe immeasurably off though, I won’t publish it because I’ve found in 10+ years of comments that if something can go wrong with a recipe, it sooner than later will for someone. 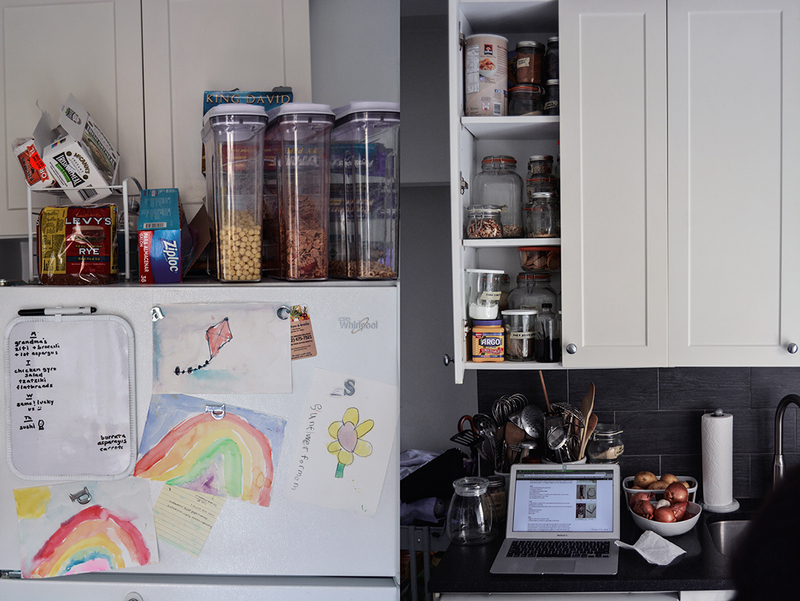 As you’ve seen my fridge and freezer (since cleaned, but only under duress), I think you know my perfectionism does not extend everywhere in my life. But I do want things the way I want them and I hear from my parents I have been this way from the beginning (sorry guys). Which of your recipes do you love the most? Which one does your husband and two kids love the most? We all love the Leite’s Consummate Chocolate Chip Cookie, especially now that I’ve updated them in a way that I can make them more often (I like to stash them in the freezer, bake whenever we remember). And not to be too much of a tease but because this is something I’ve been working endlessly on for the last couple years, there’s a grandma-style chicken noodle soup and a crumb cake in my next cookbook that everyone is nuts for. They never go to waste. Oddly, never inside the kitchen. 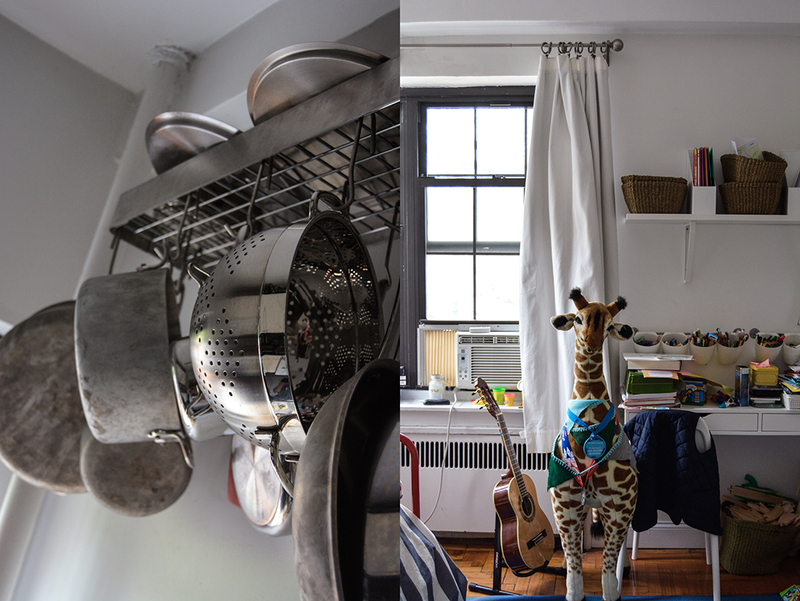 The kitchen is where I test out ideas and pay close attention to what happens, but it’s not where new ideas come to me. They come to me when I’m on a train or in a car going somewhere far enough that my mind wanders off, or at a restaurant when I like the flavor intersection of ingredients and want to apply it to something else at home. How do your family’s roots in Germany and Russia influence your cooking and your personal culinary journey? From my husband’s Russian family (he was born there but doesn’t remember it), an appreciate of garlic, pickles, sour cream, dill, wafer-y cakes, syrniki (cottage cheese pancakes), as well as the value of a freezer full of pelmeni, vareniki (filled dumplings), and at least one bottle of vodka. From my mom’s German side, spaetzle, schnitzel, bretzel, bienenstich (popular German cake), and every type of almond paste/marzipan confection you can dream up. What do you enjoy about writing a cookbook and what do you hate about this project? Do you prefer working on your blog or on a book? I love both for different reasons; the blog is my favorite place to be, to try out ideas, chat with people in the comments, field questions and more. The speed of output and feedback is faster, it lends itself well to cooking whims and streaks; it makes me very happy. Books are less balanced. You spend years (5 years, even!) working through recipes and ideas behind the scenes with an additional layer of design — I don’t know how your book experience was, but I seem to always go 20 rounds with the cover, 45 rounds with the title, 10 rounds with page layouts, and am making recipe swaps until the day I’m cut off, like being at a bar at 2am — all to yield one (hopefully) wonderful thing that you hope people will want to take home and read and cook from but you have no idea and so, perhaps, the stress is also much greater. But so are the rewards (or is it relief?) should people be as excited about it as you were. I loved getting to book tour last time, and hope to do more this fall. You have a large cookbook selection in your apartment, what makes a good cookbook in your eyes? So many things. While I love, like anyone with eyes, looking at beautiful pictures, it’s never made a just-okay cookbook a great one. What I love even more is feeling like I’m stepping into a story, a world, with recipes. I love a funny anecdote about how a recipe came to be or a small tidbit I wouldn’t have known about a dish. I want the recipes to be airtight, even though I know how hard this is, but to me this is the baseline of a cookbook. And I’m always hoping to see something I hadn’t seen before; to feel the creativity bursting from the page. Do you enjoy being cooked for? On a special night, do you prefer to eat at home or dive into New York’s vibrant food scene? I love being cooked for! I love going out; we used to do it so freely before kids and I do miss it, it’s just more complicated with noisy people with early bedtimes. I get so inspired going somewhere teeming with fresh ideas, and it makes me want to come home and cook immediately, so eating out fuels eating in. I’ve always enjoyed Julia Child’s tenacity, Marion Cunningham’s defense of home cooking against drudgery, and Gabrielle Hamilton’s unapologetic embrace of her food vision. When it comes to school events or a friend’s party, do you get requests to bring a dish or are people shy to ask Deb from Smitten Kitchen to bring a birthday cake or sandwiches? Brownies, I think. Not very different from My Favorite Brownies on my site, but I’d forgotten to add the flour. They were a little burnt at the edges and very mushy in the middle and yes, we still ate them. They weren’t even bad, but I never heard the end of it. What are your favourite places to buy and enjoy food in New York? Union Square Greenmarket for vegetables and fruit and everything; Murray’s or Saxelby for cheese, Kalustyan’s for spices and around-the-world ingredients, Buon Italia in Chelsea Market, mostly to load up on the Setaro pasta, Faicco’s for spiral sausages for grilling weather, which are always a huge hit, can I go on and on? I could go on and on. Spaghetti with clams or mussels and fries or assemble-your-own steak salads with a side of roasted potatoes. Solo if I’m working on a new recipe or one I haven’t ironed out yet, because I want to be able to pay attention and take notes and make tweaks. If I’m throwing together the above meal for 10 friends, they better be hanging out in the kitchen and drinking wine with me. Improvised; I like the challenge. Anything where I’ve ended up cooking things individually over a stove for many people; I have bad memories of making Fake Shack Burgers for 10 people (so much hamburger grease from head to toe when I was done) as well as an early brunch party where I made French toast for everyone as they trickled in. Two talented ladies baking together – beautiful! Awesome article! I’ve been a big fan of Deb’s for years, and yes, I have and LOVE her first cookbook….can’t wait until the second comes out! I can’t wait to see Deb’s 2nd book. I’m sure it’ll be amazing, like everything else that comes out of her kitchen! Deb is a favorite! If she likes it, I’m sure I will. I’m happy to see a kitchen that looks like somebody uses it! 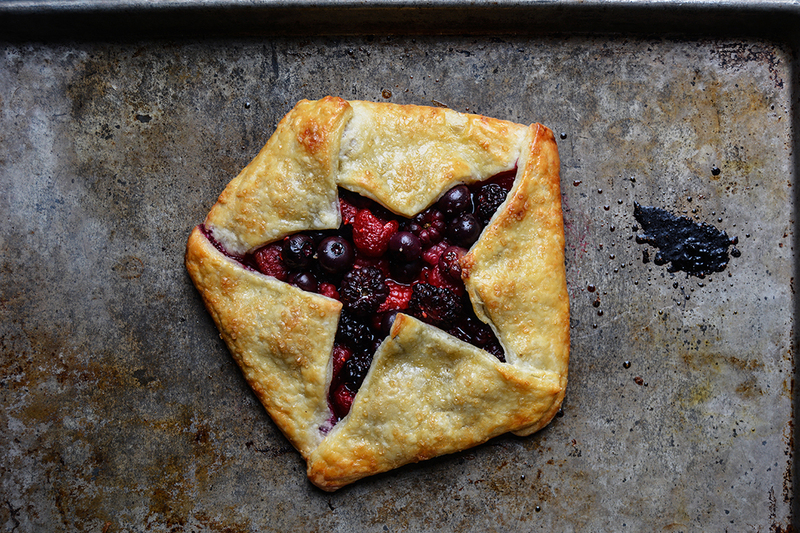 Can’t wait to try this galette! 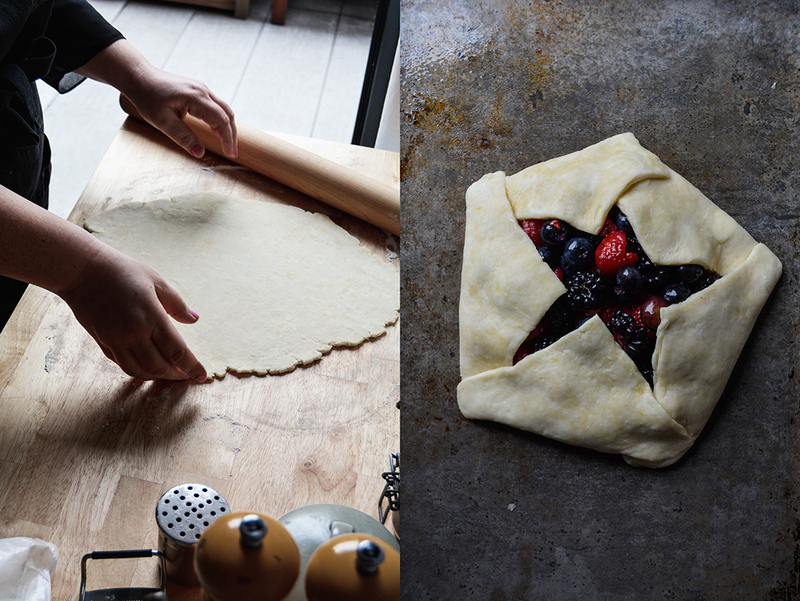 Deb is such a great inspiration – and this galette is divine! It felt good to be in her kitchen, it’s a real kitchen of a real person. You can feel and see that she loves food and cooking. Great post! Just goes to prove that dreams do come true! 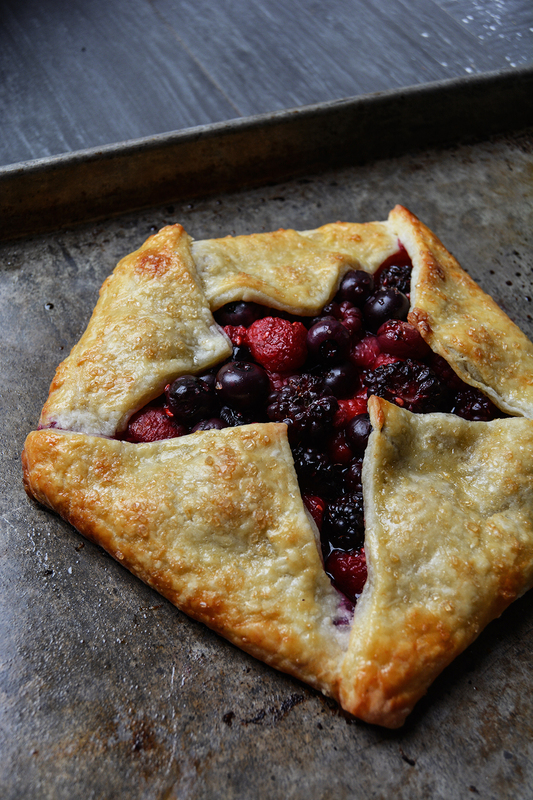 The galette looks delicious! 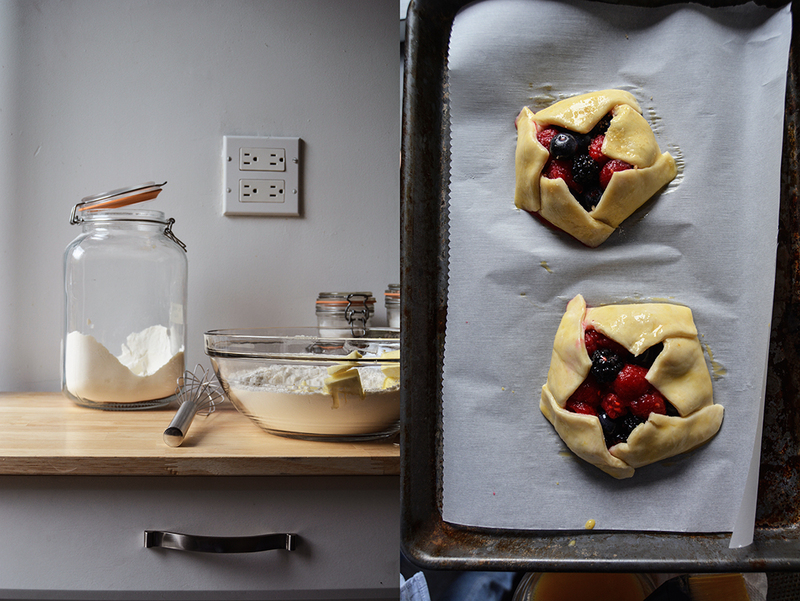 I mean, what is better than berries and ricotta? I will definitely be making this. Congrats Meike! Thank you, Mary! This galette is heaven! And Deb is the sweetest, I’m so glad that I got to meet her in her kitchen. She’s such an inspiration. Have a nice Sunday!